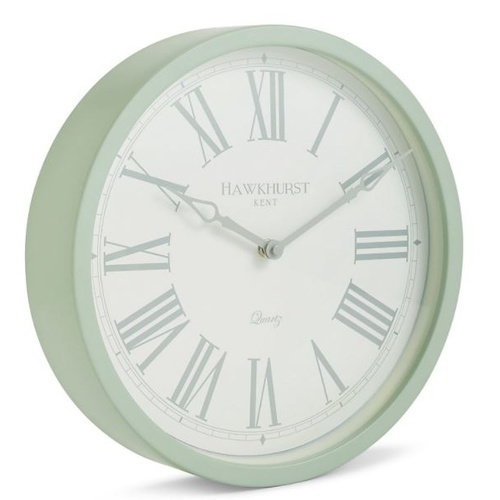 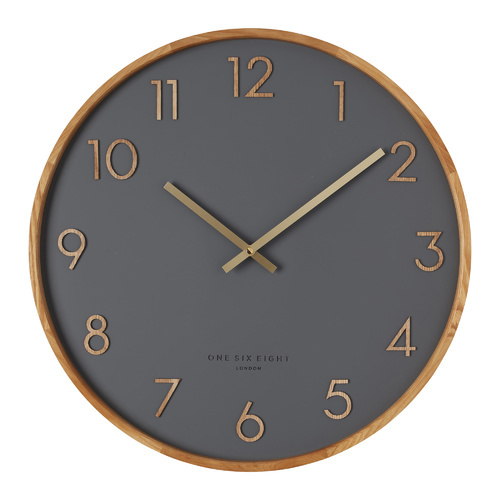 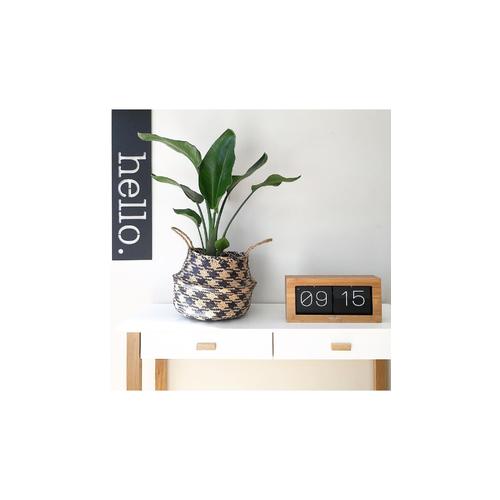 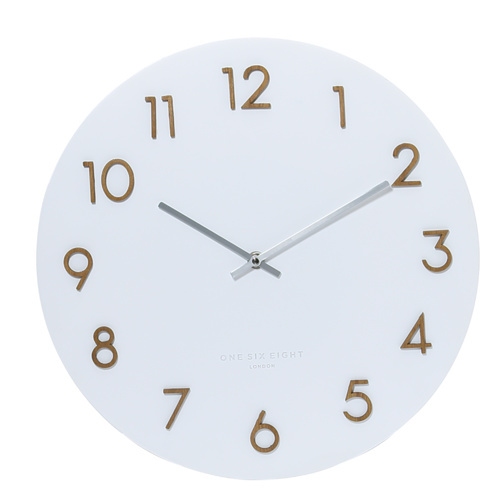 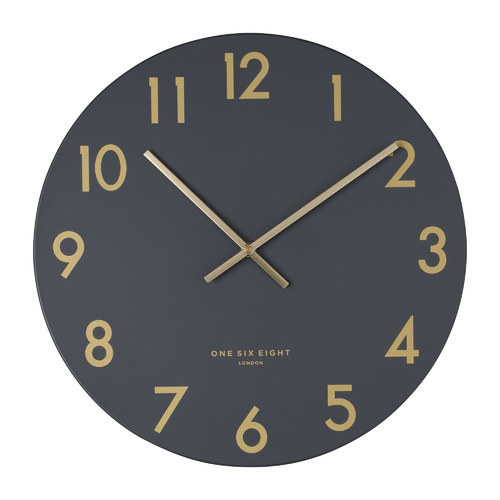 Lagom White Resin Dial Wall Clock Oak Wooden Back Raised Markers Debossed Logo ø:30cm d:6cm New by the London Clock Company, the Lagom’s finishing touches are simply second to none. 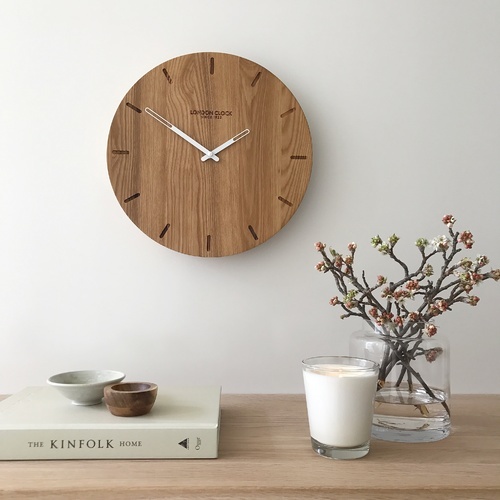 With a deep Oak wood case with the finest joinery the Lagom can best be described as classy! 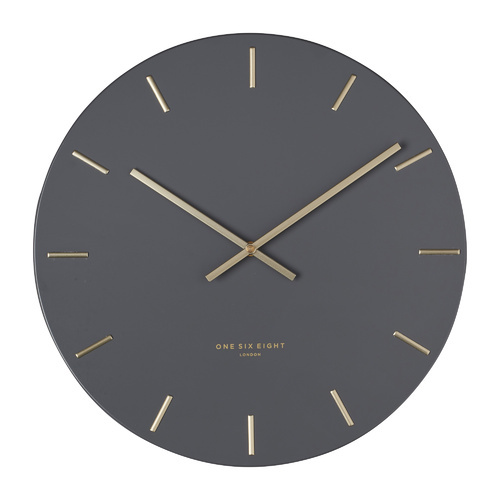 The Lagom boasts a solid resin dial with markers, a thick rose gold hour hand and an thin rose gold minute hand. 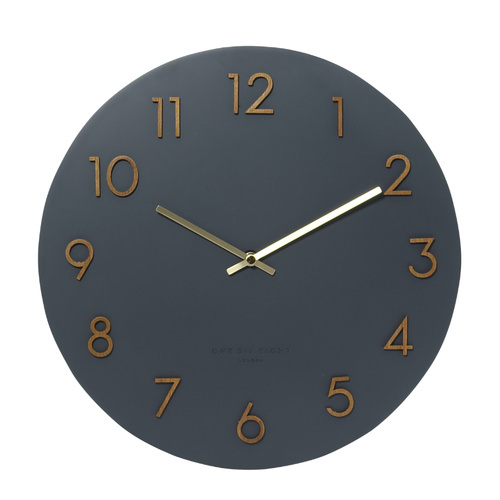 Perfection in a clock! 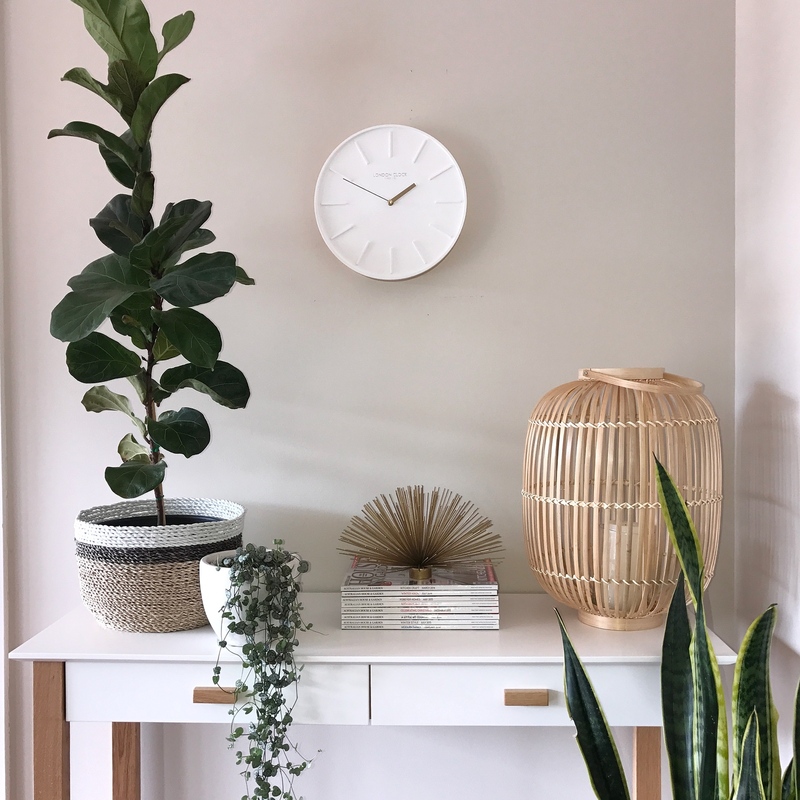 The Lagom measures 30cm in diameter and has a depth of 6cm. 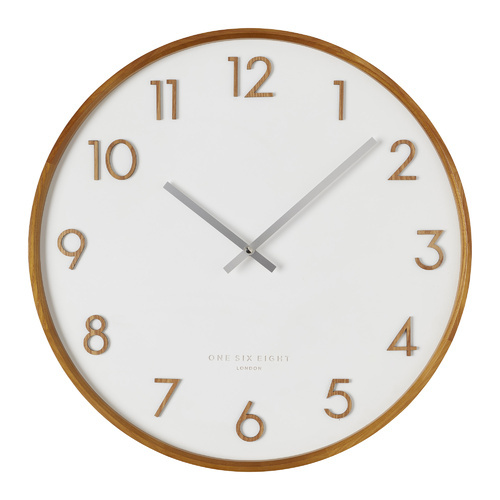 Hate ticking? 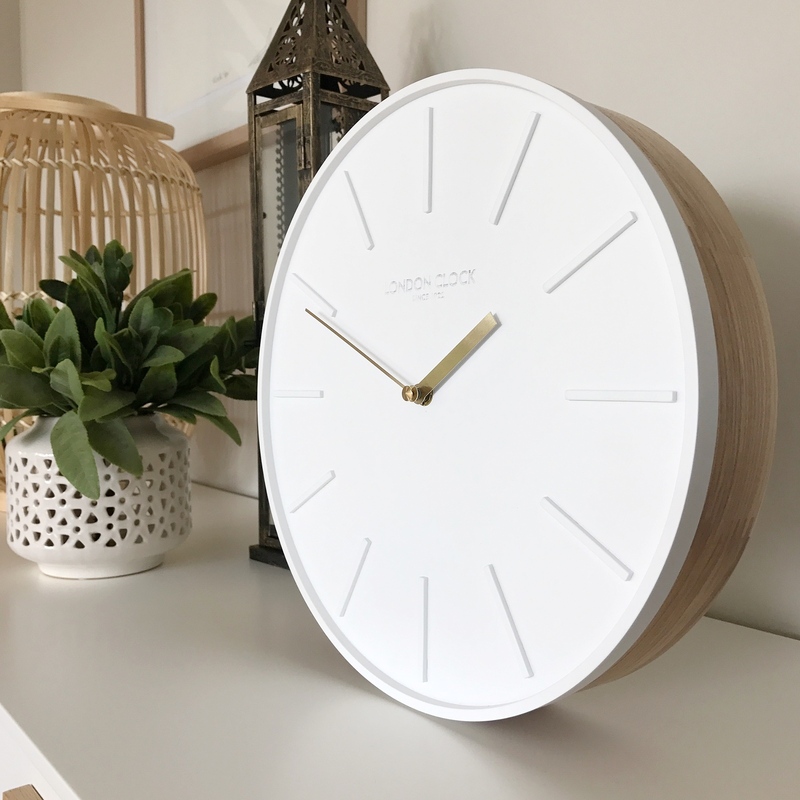 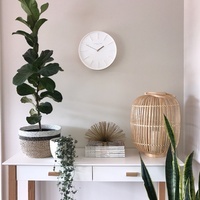 Then you’ll love the Lagom thanks to its energy saving, SILENT movement Using the highest quality silent clock movement, the Lagom wall clock has been designed in the UK and comes complete with a stunning gift box. 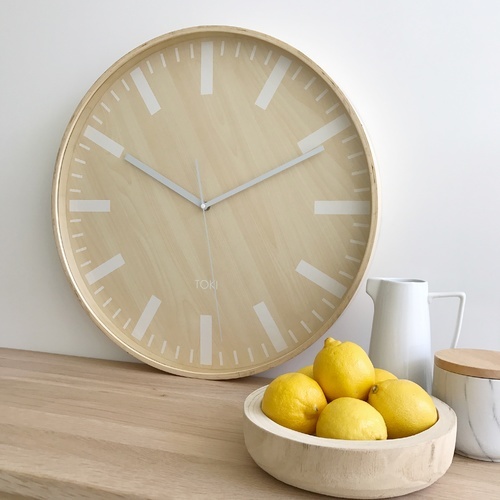 The Lagom also comes with an amazing 5 year manufactures warranty.